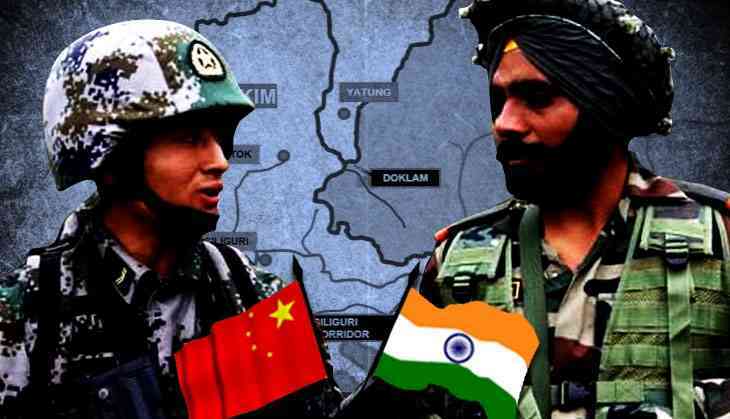 The India-China stand-off ended with a choreographed disengagement at Doklam plateau on August 28 after night long negotiations in Beijing. India agreed to withdraw its troops in a designated two hour period before noon on Monday August 28 and the Chinese did the same in a similar window that afternoon. The withdrawal was monitored from New Delhi in real time – hence the reference in the statement of the Ministry of External Affairs that the process of disengagement was completed under “verification”. According to multiple sources, this was the result of a carefully coordinated move led by Prime Minister Narendra Modi with the representatives of the Ministry of External Affairs in Delhi, the Army Chief and the National Security Advisor. They spent a sleepless Sunday night in direct communication with Indian ambassador to China Vijay Gokhale who was negotiating with a high level Chinese official in Beijing. Gokhale had been in Delhi for consultations for the entire previous week. He was advised not to go back to Beijing till he received a call from Beijing for a meeting. Sure enough, he received a call on Saturday/Sunday, with the Chinese foreign ministry seeking a meeting. It is not clear at this point whether during the week the Indian Ambassador to Beijing was in Delhi the two sides were still engaged at a higher level. However, once Bejing made the approach, the Indian Ambassador was advised by the government to go for the meeting by the next available flight. The flight to Beijing was, however, delayed by about three hours because international flight schedules had been disrupted by Cyclone Harvey. When Gokhale landed in Beijing it was already Sunday night. The Chinese foreign ministry apparently wanted him to come over directly from the airport. However, Gokhale went to his residence, changed, informed Delhi and then went for the meeting. By the time the meeting began with the Chinese it was already 10.30 PM Indian Standard Time or 1 AM Beijing time. In Delhi, Foreign Secretary S Jaishankar, Army Chief BS Rawat, and the National Security Advisor were instructed at the highest level to stay up as long as the meeting in Beijing lasted with the Prime Minister and External Affairs Minister Sushma Swaraj on standby to guide them. While the exact details of the negotiations are not known, the Chinese apparently suggested that instead of “simultaneous withdrawal” perhaps the two sides could agree to a “near simultaneous” withdrawal. Gokhale sought instructions and was told by his superiors in Delhi that this was acceptable if it helped resolve the stand-off. It may be recalled that some strategic affairs experts were quick to point out that the phrase “expeditious withdrawal” instead of “simultaneous withdrawal” leaped out of the statement issued by India and that this was not merely a question of semantics. India agreed to withdraw its troops to pre-June 16 position the next morning and Chinese agreed to do so a couple of hours later in the afternoon but before sun-down which is roughly at 5 PM in the Doklam area. Strict windows of two hours each – before noon for India and before sundown for China – were agreed upon. It was also agreed that the brigadiers in-charge from the two sides would meet in the morning of the disengagement, Monday August 28. India had requested that in that meeting, the brigadier of the Peoples’ Liberation Army (PLA) should show awritten order from his superiors to his Indian counterpart instructing him to withdraw his troops to the posts they occupied before June 16, along with the road construction machinery deployed and the tents they had pitched in the area. This was done to ensure two things. One, to ensure that the PLA did not move only a few metres back from its stand-off position and still claim that technically it had disengaged – hence the insistence that they had to move to their pre-June 16 posts. Two, all the road construction equipment and the tents pitched for accommodation had to be removed permanently. In the afternoon, the Chinese sought half-an-hour extra for the withdrawal. Their explanation to the Indian side was that some extra digging was involved for removing the tents pitched there because their pegs were quite deep. India agreed as it has also exceeded its withdrawal time that morning by half an hour or so. By 4.30 PM the PLA had completed its withdrawal with its troops, machinery and tents being moved to pre-June 16 positions. According to sources, this was how the military disengagement took place with Indian diplomacy putting its best foot forward. Both sides, sources say, showed immense amount of maturity. If India refused to go for a military confrontation insisting on a diplomatic resolution of the issue, the Chinese also dropped their insistence that India withdraw its troops first before talks. They initiated the talks and India gave them a way out by agreeing to what the Chinese might still call near simultaneous withdrawal of troops to establish peace.